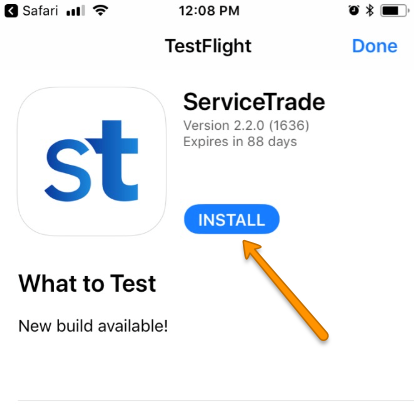 This article provides instructions for installing the new version of the mobile app before it is publicly available in the App Store store on November 28th. We can’t wait for you to see the new mobile app! We created this app to help technicians be more productive and make it easier to show customers the great work they’re doing on every job. This article will help you install the app and understand the new interface. Android users: Click here for installation instructions. Mobile Device Management (MDM) users: Contact support@servicetrade.com for specific MDM instructions. 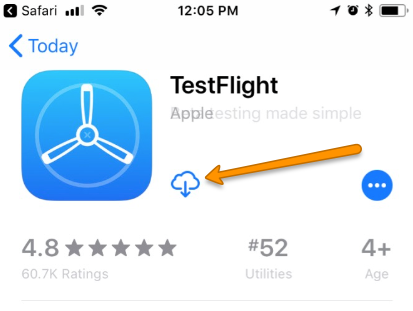 NOTE: You do not need a redeem code after downloading TestFlight. Follow step 2 below. 3. 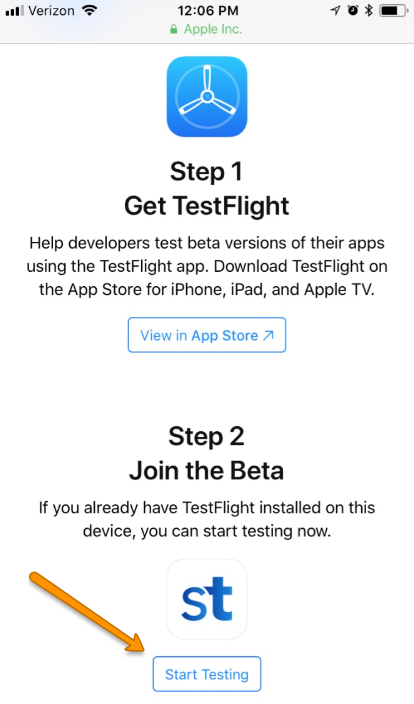 Click the "Start Testing" button. 4. Install the new ServiceTrade app.